Timers | UK Electrical Distributors – E. Preston (Electrical) Ltd. 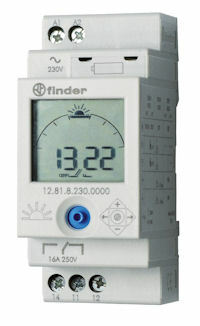 Finder new 83.52 Multi-Function and Multi-Voltage Timer incorporates eight of the more specialised timing functions. 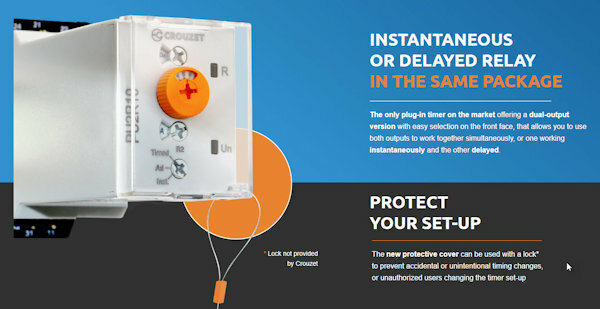 Crouzet Control, a brand of Custom Sensors & Technologies (CST), is pleased to announce the availability of 11 redesigned Chronos 2 Timers and Control Relays now available in an improved DIN rail modular housing with the same profile as the Crouzet C-lynx product family. 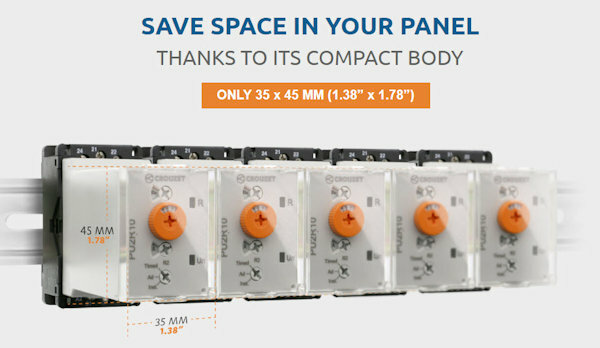 The 7 new 22.5 mm DIN Rail mounted Chronos 2 Timers (RA2R1, RQR1, RQR6, RU2R1 RU2R3, RU2R4 & RX2R1) replace timers previously offered in a 22.5 mm wide industrial housing. The new 22.5mm DIN rail mounted housing is also similar to the new 17.5 mm Chronos 2 Timers featuring the same terminal block position for perfect panel alignment. The new 22.5 mm timers also feature 2 SPDT relays rated at 8 A / 250 VAC and are just 8 mm higher than the 17.5 mm version with one output relay. New Chronos 2 timers have the same rated supply voltage and electrical specifications as previous industrial housing versions. ENR and ENRM Level Control Relays have also been redesigned in a new 22.5 mm DIN Rail housing replacing 22.5 mm wide industrial models. 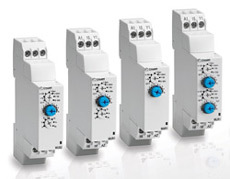 A new universal supply voltage of 24 to 240 VAC VDC allows them to replace 8 existing part numbers with similar or improved features per model. 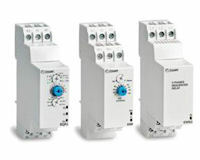 The new 17.5 mm MWS Phase Control Relay featuring an 8 A output rating replaces both the 17.5 mm MWS and 22.5 mm EWS series. The redesigned 22.5 mm EWS2 replaces the existing EWS2 featuring a more compact housing allowing modular installation. All new Chronos 2 Timers and Control Relays are C-UL-US Listed, CE certified to the IEC Low Voltage Directive and compliant with the RoHS Directive. 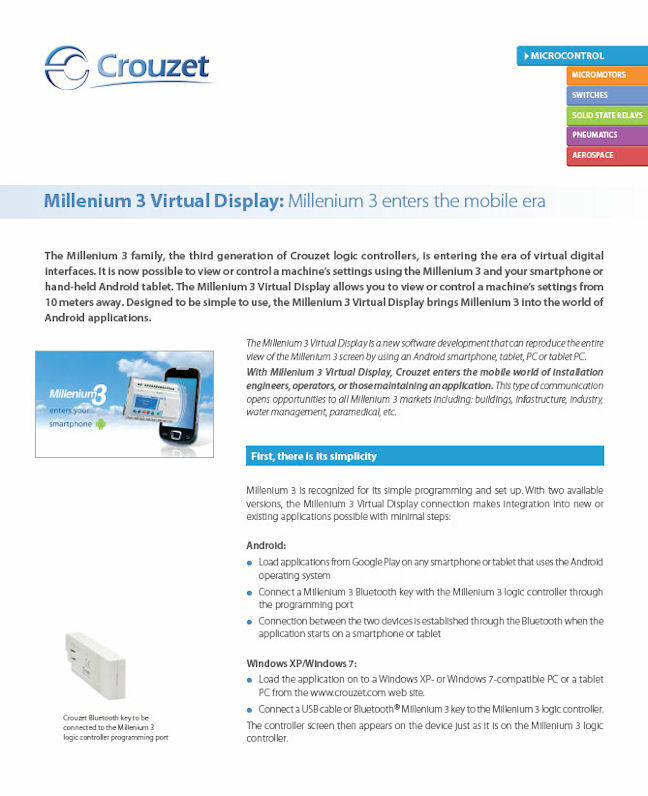 • Available in mono- or multifunction versions, to meet the specific needs of each application. • A timing range of up to 100 hrs to cope with prolonged processing operations. • A range of power supplies from 12 to 240 V in one unit for optimised stocks. • Recognised quality and reliability ensures the correct operation of equipment. • Plug-in industrial casing (Width: 35 mm). 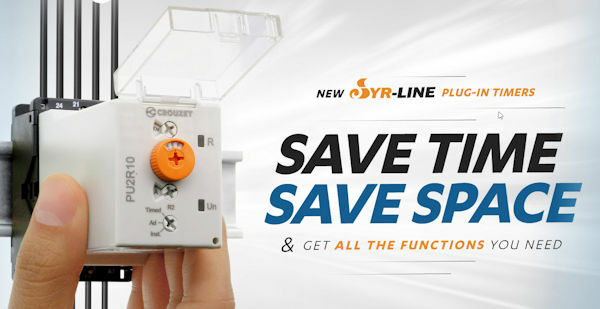 Crydom’s proprietary thermal management technology and proven Solid State Relay expertise are now combined with advanced uP based timing in the new “SeriesOne DR” Timer line offering models with exceptional Solid State output ratings of either 6 amp AC and DC and 8 different precision timing functions with 18 variations in a compact 11mm wide DIN Rail mounted package designed for the direct control of a wide variety of resistive and inductive loads. 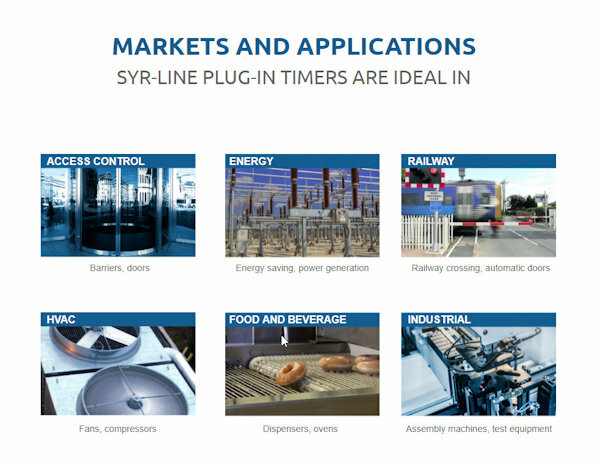 Crydom’s renowned Solid State Relay technology is now available combined with 8 different Microprocessor based timing functions including a total of 18 possible timing variations. 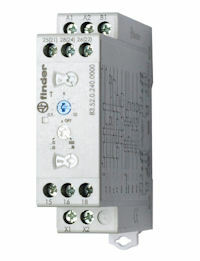 Ideal for use in control panels for direct control of contactors, solenoids, motors, heaters, lights, etc. The SeriesOne DR Timer series is available with either 6 amp/24 to 280 VAC output rating or 6 amp/1 to 60 VDC output rating, both at 40°C ambient temperature…. 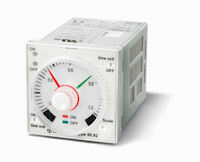 ratings well in excess of most Solid State Output Timers in the market today, therefore allowing direct control of many loads thus eliminating the need for interfacing power relays often required for use with lower power timers. Available timing functions include “A” & “At” delay on make, “B” single shot, “C” delay on break, “H” & “Ht” interval, “L” & “Li” repeat cycle, and “U” multifunction that includes A, At, Ac, B, Bw, C, D, Di, H, and Ht functions. 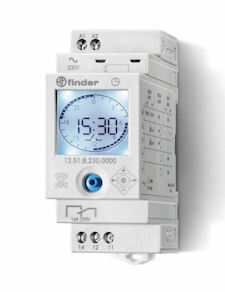 Basic timing function selection is user settable via screw slot rotary switches on the side of the SeriesOne DR Timers, while unit and fine timing adjustments are made on the front panel of the Timers. This arrangement provides easy access to Technicians for simple timing adjustments but significantly reduces accidental changes to the basic function. Control for the SeriesOne DR Timers, depending on model, is 12 to 24 VAC/DC for all models, with options of either 90 to 140 VAC or 180 to 240 VAC for AC outputs only. 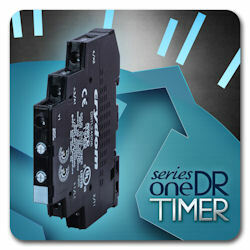 All Crydom SeriesOne DR Timers are UL listed and cUL recognized, UL Motor Control rated, RoHS and China RoHS compliant, and CE certified to the Low Voltage and EMC Directives.